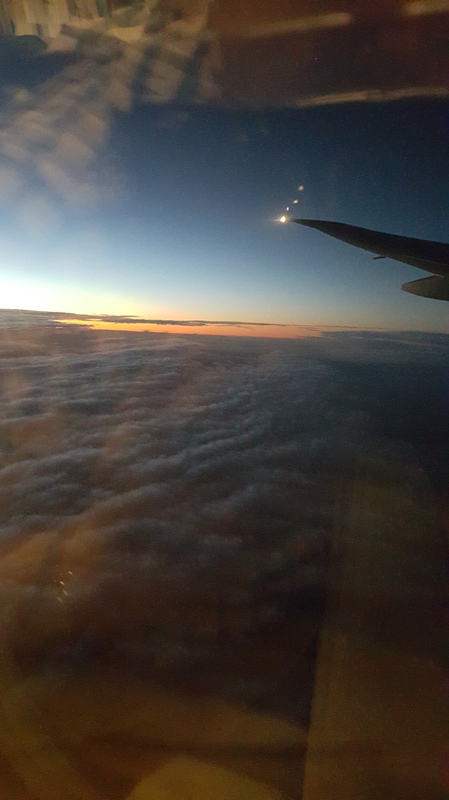 I recently wrote a blog entitled On a wing and a prayer and it referred to the fact that every time my husband and I flew we always ended up sitting by the wing of the plane. When I asked my husband why he thought this was he replied “maybe because we live our lives on a wing and a prayer!”. ‘On a wing and a prayer’ is defined as “an effort to succeed in the face of difficult,or dangerous circumstances and hoping that God will be on your side” and I rather facetiously stated that it was great that God reminded us of this every time we flew. God obviously got tired of reminding us because on our return trip we sat way back from the wing of the plane! I think He also needed to point out to me that there is no need to live our lives ‘on a wing and a prayer’…’hoping that God would be on our side’. If you are a Believer there is no winging it! There is no hoping that God will be on our side! Instead there are the sure and steady promises that God, Himself, has given to us and the knowledge that God is on our side. So from now on I will not be living ‘on a wing and a prayer’ anymore. I will be living in the knowledge and assurance that God is always with me, always caring for me, always loving me. This entry was posted in God, Life, Love, Prayer and tagged faith, gifts, grace, restoration. Bookmark the permalink.